Patrick Friesen, a former resident of the original lands of Anishinaabeg, Cree, Oji-Cree, Dakota, and Dene peoples, and on the homeland of the Métis Nation (Steinbach and Winnipeg) now lives on the unceded territory of the Lekwungen people (Victoria, B.C.). He has published numerous books of poetry and has written several stage and radio plays. Friesen has also collaborated with choreographers, dancers, musicians and composers. He tours on a regular basis, giving readings and workshops all over the country. 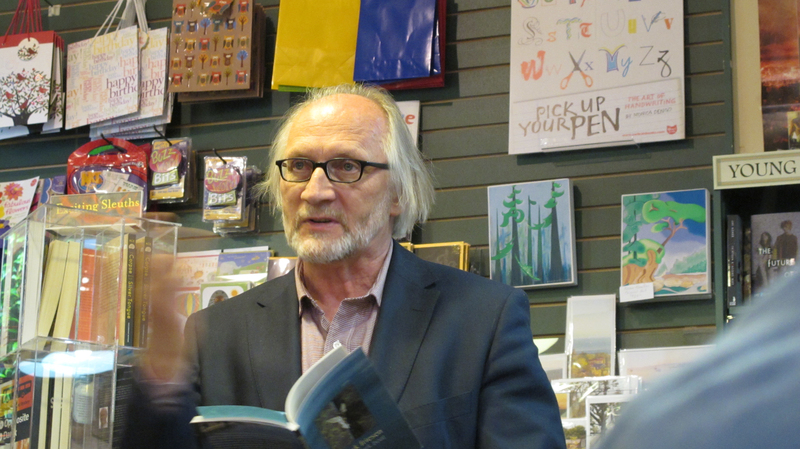 His book, Blasphemer’s Wheel, was awarded Manitoba Book of the Year Prize in 1996; A Broken Bowl, was a finalist for the 1997 Governor-General’s Award; and Patrick was awarded the ReLit Award for Poetry in 2012 for jumping in the asylum.